The first man to have his name recorded in the King’s High School Wall of Fame is being recognised in the Academic field. His name is Prof. Michael McIntyre. In 1958, Michael McIntyre was awarded a University Junior Scholarship, after gaining the highest marks in New Zealand. He then proceeded to Otago University where in 1963 he graduated B.Sc., with first class honours in mathematics, whereby he won a Commonwealth Scholarship to study for a Ph.D in fluid dynamics in the Department of Applied Mathematics and Theoretical Physics (DAMPT) at Cambridge University. While pursuing his studies, and being a violinist of King’s and Radio 4YA fame, he entered the annual BBC Violin Competition reaching the semi-final round. At this time he was offered membership of a professional string quartet, and was sorely tempted to join; fortunately Science won out. After graduating Ph.D., apart from a three year stint as a post-doctoral research associate at the Massachusetts Institute of Technology (MIT), Michael has spent all of his professional career at DAMPT rising through the ranks from Assistant Director of Research in Dynamic Meteorology in 1969, University Lecturer in 1972, Reader in Atmospheric Dynamics in 1987, Professor of Atmospheric Dynamics in 1993, and Emeritus Professor in 2008. The main interests of the atmospheric dynamics research group have been oriented towards understanding the fluid dynamics of the Earth’s atmosphere especially the stratosphere which contains most of the ozone shield, and has helped explain why the strongest ozone depletion occurs in the southern hemisphere when most of the chemicals causing it are mainly in the northern hemisphere. Recently Michael has been exploring astrophysical problems as well, to which terrestrial knowledge has contributed key insights. He has also had a long standing interest in perception and cognition whereby his atmospheric research combined with his musical background has led to him publishing and lecturing on the deepest connections between mathematics and music. Michael has published extensively, and his scholarship has been internationally recognised; he has received the highest award of the American Meteorological Society, and the Julius Bartels medal of the European Geophysical Society, is a member of the Academia Europaea, and is a Fellow of the Royal Society, the American Meteorological Society, and the American Association for the Advancement of Science. His two main characteristics are said to be his focussed enthusiasm and energy, combined with his generosity and inclusivity. Mr Baxter of course is deceased. He passed away in 1972. It is still appropriate for us to recognise his contribution in the Arts field by the reading of his achievements, followed by a short video clip. Today James K Baxter has world-wide recognition as a fine poet and was also a noted dramatist, literary critic and social commentator. Coming as he did from a prominent pacifist family, he led a rather solitary life while at King’s, a time when classmates had fathers, uncles, and even brothers serving overseas in the armed forces, although he was the star performer in an impromptu end of year concert. 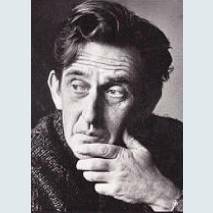 However he was already writing the technically accomplished short lyrical poems which were to become his trademark, his first collection being published when only aged 17 and in his first year at Otago University, and he continued to write and publish throughout his lifetime, some 2600 poems! He shifted to Wellington, married, embraced Catholicism, and enrolled at Wellington Training College. By 1956 he had qualified as a teacher and had taught at a Hutt Valley primary school, he had graduated with a BA from Victoria University College, and was writing and editing primary school bulletins for the Department of Education. There followed an extended sojourn in Asia, especially in India, as a result of which his writing became more critical of New Zealand society and its bureaucracy. In the 1960s, despite struggling financially, he added the writing of drama to his repertoire, becoming internationally known through his radio play ‘Jack Winter’s Dream’. 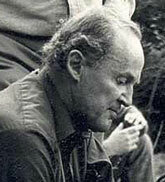 In 1966 and 1967 James K was Robert Burns Fellow at Otago University, but instructed in a dream to “Go to Jerusalem” (the site of a Roman Catholic mission on the Whanganui River), he proceeded there, adopted the Maori version of his name (Hemi) and established a community for disaffected urban youth (Nga Mokai (mo-ki) – ‘the orphans’). However, he died in 1972 aged 46, being buried at Jerusalem following a full Maori Tangi; a rare honour for a Pakeha. His untimely death, however, has not interrupted his publishing career, which continues relatively unabated. As well, his life has been the subject of biographies, a play which travelled overseas, and a cabaret; his poetry has been set to music; and he featured on a New Zealand postage stamp. His community vision has recently been assessed as a qualified success, despite even his friends and contemporaries having difficulty in reconciling Jim the poet with Hemi the prophet. Neville Bain is recognised as a truly international businessman, but like Bill Sykes in the musical Oliver he started small as a delivery boy for W. Harris, shoe retailers, with a big basket on the front of his bicycle! He left school at age 16 and worked for the Inland Revenue Office, studying part-time, he swotted day and night thereby qualifying as a chartered accountant aged 19, a chartered secretary aged 20 and winning the Hogan Prize for the best New Zealand wide exam results. 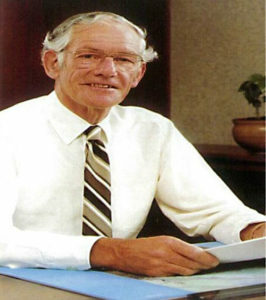 In 1960 he joined the accounting firm of Anderson & Co and in 1963 moved to Cadbury Schweppes Hudson, with whom he was to spend the next 27 years, as a cost accountant. Pat time study at Otago University led to him graduating with two B.Com degrees in accounting and economics, culminating in an M.Com. with honours in economics in 1968. He also found the time for public service; lecturing in management at Otago Polytechnic, becoming a JP, a vice-president of the local Marriage Guidance Council, and a Sunday school teacher; in 1972 he won the Wills Outstanding Young Man-of-the-Year Award for Otago Southland. At Cadbury’s he had risen through Financial Controller to become New Zealand Company Secretary and Financial Director. He was then sent to Cadbury’s sister organisation in Johannesburg, where he became a managing director in the first New Zealand executive to move internationally. In 1980 he was moved to the London headquarters as Group Strategic Planning Director, rising to become Deputy Group Chief Executive and Group Finance Director. In 1990, Neville joined Coats Viyella, a huge international company with branches in nearly 50 countries, an annual turnover of more than $6 billion, and employing some 60,000 people, as Group Chief Executive. He has since been Chairman of Consignia (formerly British Royal Mail), and is currently Chairman of the Institute of Directors, a Non-Executive Director (NED) chairing audit committees of several pension funds, and is a consultant in India and Russia as well as in the United Kingdom. Keenly interested in business education, he has written many papers and several books on management. 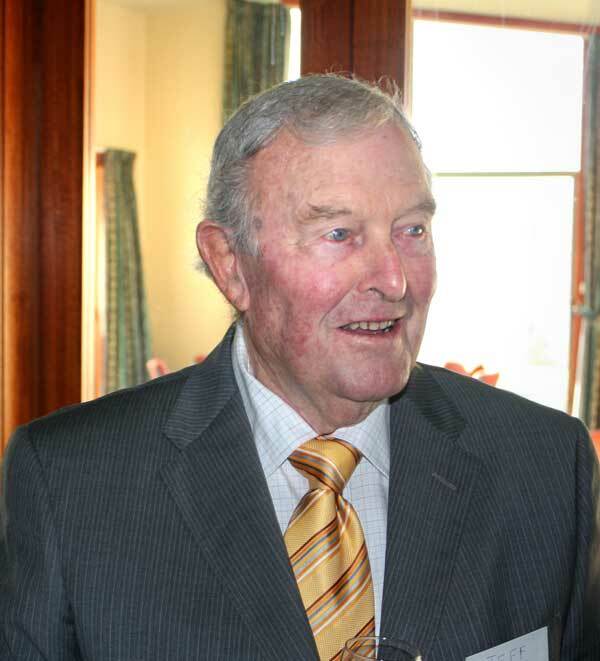 But despite his many years at the highest levels of corporate business, Neville has never forgotten his roots; he has contributed significant funds to the Otago University Foundation Trust as well as delivering guest lectures. In recognition of his support and status, the University awarded him an honorary LLD in 1994, and the OU Medal for Outstanding Alumni Service in 2008. For King’s he has made a substantial financial contribution funding several prestige prizes for all-round academic excellence, and has facilitated meetings for Old Boys in the United Kingdom. Our next inductee is a man who has made his mark in the lives of people around the globe. For his work as a Humanitarian we induct Cannon Dr. Paul Oestriecher(1945 -1949). Paul Oestreicher was a student at King’s from 1945-1949. He and his parents arrived in Dunedin in 1939, refugees from Nazi Germany. After leaving King’s he studied at Otago University, where he edited the student newspaper Critic, won an executive member of the student Christian Movement, and graduated BA in political science and German. He then moved to Victoria University College in Wellington, where he graduated MA with honours in political science. In 1955 he won an Alexander von Humboldt Fellowship and undertook research at the University of Bonn on the relationship between Christianity and Marxism. He then trained for the Anglican ministry at Lincoln Theological College in the United Kingdom, being ordained as an Anglican Priest in St Paul’s Cathedral. While working as a curate in eastern London, Paul branched out into free-lance journalism and broadcasting and has continued to write until the present day. In 1964, the British Council of Churches invited him to formally establish contact with churches in communist countries, which led to 17 years of ecclesiastical diplomacy while maintaining his duties as team ministry leader in the parish of Blackheath. In 1981 Paul was appointed to head the Division of International Affairs of the British Council of Churches, and in 1986 was rewarded with his dream job: Canon Residentiary and Director of the Centre for International Reconciliation at Coventry Cathedral, which position he held until his retirement in 1998 – albeit he became an honorary chaplain at the University of Sussex. His lifetime commitment to peace and reconciliation has led to his holding high office in Amnesty International, the Campaign for Nuclear Disarmament, the Anglican Pacifist Fellowship, Clergy Against Nuclear Arms and Christians Against Torture. In Germany his reputation for reconciliation and his work for the Dresden Trust led to the awarding of the Order of Merit by both the Federal Republic of Germany and the State of Saxony, and he is an Honorary Citizen of his birth place Meiningen (he is also a Distinguished Citizen of Coventry). For the promotion of European unity, Paul was awarded the Wartburg Prize, the first non-statesman to be so honoured. In 2008, in recognition of his writings and work for human rights, the Archbishop of Canterbury, under a right granted to him by Henry VIII in 1535, conferred on Paul the Lambeth Degree of Doctor of Divinity – he had previously been awarded honorary doctorates from the Universities of Coventry and Sussex, and in 2009 received an honorary doctorate from Otago University. All this makes Paul seem like an academic; he protests that he is merely a priest who is into politics and journalism! This man was a student at King’s High School from 1957-1961. He has been many things since leaving King’s; a university student graduating with two arts degrees and a language certificate, a Rhodes Scholar graduating with an M.Lit. degree, an author, a civil servant, a diplomat, a member of the Commonwealth Secretariat, a High Commissioner, a Race Relations Commissioner who received a United Nations citation for his opposition to apartheid, a politician, New Zealand director of the World Wildlife Fund, a newspaper columnist, and is currently an elected member of the Wellington Regional Council and hosts a programme on National Radio. In the sporting domain he has represented Otago at swimming, surfing, water polo and basketball. It was however rugby that he chose to concentrate his efforts on. Apart from Otago, which he captained on occasion, he represented Canterbury, the South Island, New Zealand Universities, New Zealand Under 23 as captain, and the New Zealand All Blacks. He was selected as an All Black before he was 20 years of age, was a team member when available from 1963 to 1970, and was undefeated as a Test Captain. He also captained Oxford University to a famous victory over the touring Springboks. His main strength was the length of his pass, which gave his 1st five-eight plenty of time to choose the best option, and he is arguably the best half-back that New Zealand has produced. He was Otago Sportsman of the year in 1966. After his playing days were over he coached the Fijian national team, and also in France. 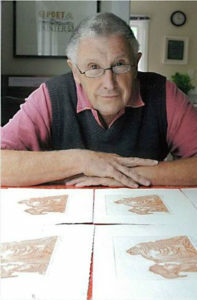 In 1973 his first book, ‘Mud in Your Eye’ was published, and caused a sensation, it was the first by a contemporary player to objectively analyse the state of the game world-wide, was a bestseller in New Zealand and the United Kingdom but was banned in South Africa, and provided uncomfortable reading for the New Zealand administrators. In 2010 he has written his second rugby book ‘Somebody Stole My Game’ a philosophical study of the nature of rugby football, and the recent influence of professionalism on the game. This field of the Arts inductee is a celebrated national and international artist. This man was an old boy of the school from 1962-1966. He had already decided before he left King’s that he intended to become a full time artist, and had mapped out his future in order to achieve this aim. It took him a mere six years, by which time he had graduated BA in English and Geography from Otago University, had qualified as a secondary school teacher at Christchurch Teachers College and had fulfilled his teaching obligations at Cromwell District High School. With such a solid foundation to fall back on, he embarked on a mainly European two year OE, but European painting failed to inspire, and he returned to New Zealand in 1974 to follow his own instincts, and has never looked back. He is particularly well known for his landscapes, which concentrate mainly on sparse elements of human impact on the wild natural beauty of southern New Zealand, his style having been compared to artists such as Edward Hopper. In 1978, he was awarded the Frances Hodgkins Fellowship at Otago University. Much of his work is in private collections, but he is represented in New Zealand’s major galleries, and his paintings have been exhibited in Dunedin, Oamaru, Christchurch, Sydney and Edinburgh. The New Zealand Government commissioned him to produce a painting which was the nation’s gift to Nelson Mandela. Art books are by their nature notoriously expensive, but his collaborative ‘Timeless Land’, and his book titled ‘The Art of Grahame Sydney’, which won overall winner and three other prizes at the Montana New Zealand Book Awards in 2000, have been reprinted several times. In 2004, this outstanding artist was made an Officer of the New Zealand Order of Merit (ONZM) in the New Year Honours List for services to painting. While previously his work had encompassed a variety of media – tempura, watercolours, oils, etchings, lithographs – two visits to Antarctica where painting is not practical led him into photography, which resulted in an exhibition and a book. More recently, after working some 35 years in solitude he has turned his attention to the making of documentaries, which involves working with a crew and providing an implicit story – whereas a painting allows the viewer to make an interpretation. He is currently filming the story of the Dunstan Track which was followed by hopeful gold seekers in the 1860s – already it has spawned a favourably acclaimed book. His passionate feelings for the landscape have led him to become active in efforts seeking to prevent what he regards as inappropriate development in the natural environment. Throughout his life he has not neglected his own physical wellbeing; indeed he was Otago Veteran Biathlon Champion from 1989 – 1991. Jeff excelled at tennis and badminton to a high international level and, in 1990, such was his standing, he was in the first group of sportsmen, along with the likes of Snell, Nepia and Sutcliffe, to be inducted into the NZ Sports Hall of Fame. In badminton, Jeff won 9 singles, 7 doubles and 5 mixed doubles titles at New Zealand championships; he won the Australian, Irish and Scottish singles titles and represented his country for 15 years. That alone deserves recognition but Jeff was also an accomplished tennis player, winning 11 NZ titles in a career spanning 17 years. During this time he was captain for 10 years, made 4 Davis Cup tours, played at Wimbledon 4 times, making the last 16 on his first attempt. He has also been a badminton administrator at international level and honoured by the WBF. He has served at both Commonwealth Games and Olympic level. He has been honoured by his country, too, with both an MBE in 1976 and the NZ 1990 Medal for services to his sports over 65 years. Jeff is our first and only double NZ representative at senior level. This brief summary hardly does justice to a wonderfully talented and dedicated sportsman who began his career on the 3 courts at King‟s High School back in 1941. Jeff was the only one of the 3 inductees well enough and able to travel to Dunedin. He spoke to the boys of his years at King‟s, of 5‟s, cadets and French lessons; some good times and challenging times in Europe and India with the NZ Davis Cup tennis team and acknowledged the „huge potential in this room‟. Jeff received a Certificate and watch marking the occasion. The certificate was framed in wood taken from the old school Jeff knew as a boy 70 years ago. In his final year at King’s, Frank was the first ever fives champion, a cricket and rugby blue, a prefect, and Dux. He left to attend Otago University, but his studies were interrupted by three tours of duty with the RNZAF as a torpedo bomber pilot then as a fighter pilot in the Pacific, being Mentioned in Dispatches following low-level raids on Rabaul. Returning to university, he became president of the OUSA, helping to repair some tension which had arisen between the student body and the authorities. He completed his BA at Auckland, and his MA with first class honours in economics and economic history at Victoria University Colleges. economics of direct benefit to New Zealand. A JP, both Otago and Victoria Universities have conferred honorary doctorates on him, and he is a Distinguished Fellow of the NZ Association of Economists, and of the NZ Institute of Directors, and a Fellow of the NZ Institute of Management. New Zealand’s social life, its health and education systems, and its capacity to face future economic challenges have greatly benefited from Frank’s dedicated service and vision. development of our independent nuclear policy. As well he has edited two volumes: one on 50 years of New Zealand external relationships, the other on New Zealand’s 50 year membership of the United Nations’ Organisation. His writing style is very readable, while the quality of his research was recognised by the University of Otago in 2003 when it conferred on Malcolm the rare degree of Doctor of Literature (Litt.D) for his published works. It was 58 years since he had graduated MA and at age 79 he is believed to be the oldest candidate ever to have earned a doctorate at Otago University: but then he had been set a good example, for the teacher whom he regards as his mentor, Dr Basil Howard, the school’s first Deputy Rector, had earlier earned a Litt.D for historical research on Stewart Island. COOMBS, Douglas Saxon (Doug) was a New Zealand mineralogist and petrologist. He died on December 23, 2016. Born in Dunedin in 1924 and educated at King’s High School (1938-1942). He was a librarian, a Prefect and proxime accessit to the Dux. He served as inaugural chairman of the schools board of governors from 1979. A right-hand batsman and leg-break bowler, he played in the School’s First Cricket Eleven in 1940 and was Captain in 1941. Doug played cricket for Otago in the… 1942–43 season. Doug attended the University of Otago, graduating with an MSc with first-class honours in 1948. He then studied at the University of Cambridge, where he was awarded a PhD in 1952. He was elected a Fellow of the Royal Society of New Zealand in 1962, and in 1969 he won the society’s Hector Medal, at that time New Zealand’s highest science prize. He received the Mineralogical Society of America Award in 1963. In 2002 he was made a Companion of the New Zealand order of Merit for services to minerology. Founder and Chairman of the NZ Hymnbook Trust for 30 years. Cabinet Minister in three Muldoon administrations – Communications and Economics portfolios. Honorary Member of the Order of Australia (OA) 2009 for services to Australia-New Zealand relations. This honour is one of the highest in Australia and Hugh was invested by Prime Minister Julia Gillard at a special ceremony held in Canberra in Feb 2011. Hugh was the first King’s student to win a Rhodes Scholarship, its first MP and its first Minister of the Crown. Jim was a strong supporter of Otago University and in 1969 was elected to the University Council, chairing the financial and general committee and ultimately serving as Chancellor for eleven years to which role he brought dignity and the wisdom of experience; for his service he was awarded the honorary degree of Doctor of Laws. Barry has participated in many group and solo exhibitions within New Zealand and examples of his work are featured in the main public gallery collections. He has also participated in many International Print Biennales in Europe and has been an invited exhibitor and guest speaker in Japan. In 2001, he was honoured as an Officer of the N.Z. Order of Merit (ONZM) for his services to the arts, and in 2005 Canterbury University awarded him a Doctor of Letters. While at King’s, Bill McLean maintained a high degree scholarship, and in his final year was made a Prefect. 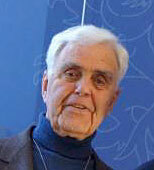 He entered Otago University and graduated with a B.Sc in 1954, and M.Sc., in 1956 with first class honours in Physics. As a result he was awarded a Shell Senior Scholarship, which provided him with a place in Clare College at Cambridge University to study as a research student in the famous Cavendish Laboratory. His experimentation was entirely successful, and he was awarded his Ph.D in 1960. Following a brief sojourn to Rutgers University in New Jersey, he was ultimately promoted to Professor. 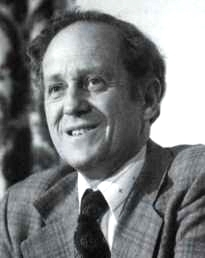 Following his untimely death from cancer in December 1990, a memorial colloquium was held the following year in the Physics Auditorium at Rutgers with eminent participants from around the world with whom he had worked during his research career; all spoke in glowing terms of Bill as a person, and of his important contributions to science. 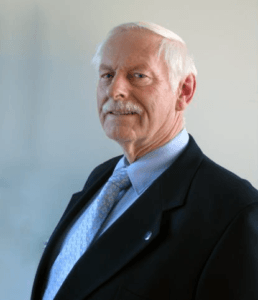 Ian graduated from Otago University in 1966 with a Bachelor of Commerce in Accounting and Marketing. Ian immediately headed to the UK for two years, working for Cooper Bros in London and Glasgow. 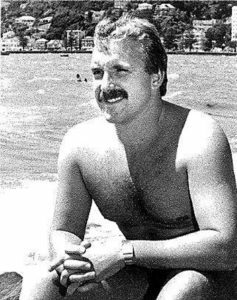 In 1984, aware that NZ had a limited pool of experienced company directors, Ian decided to become a full time professional director. The undoubted highlight of Ian’s career was his 29 years on the Board of Dunedin. When he joined the company in 1974 it had an annual turnover of $5m and employed 160 people. When he retired, the turnover was $1.3 billion with more than 3000 staff on the payroll. In 1986 Ian was made a Fellow of the NZ Chartered Accountants, and four years later a grateful government awarded him the 1990 Commemorative Medal. Subsequently he was one of sixteen inaugural Distinguished Fellows of the NZ Institute of Directors. In 2007 the Queen made him a Companion of the NZ Order of Merit (CNZM) for services to business and the community. In his final year at King’s Laurie was selected for the 1st XV and appointed Vice-Captain. On leaving school he joined the Southern Rugby Club as a fullback, scoring 1251 points before retiring in 1977. In 1967 he was selected for the Otago Provincial team, playing in 115 matches and scoring 967 points before retiring in 1975. In 1971, following the defeat by the British Lions at Carisbrook, he was selected for NZ and played in the remaining three Tests, scoring a try in his 17 points. Recalled in 1976 to play in the sole Test against Ireland, he kicked a penalty, and was included in the NZ team to tour South Africa. Retiring as a player, Laurie turned to coaching. He was a coach of the Southern premier team from 1979, and won the club premiership three seasons in a row. In 1984 he began coaching Otago and in 1991 he was appointed convenor of selectors and coach of the All Blacks. In 1992 Laurie was NZ Rugby Personality of the year; in 1996 he was the subject of a book entitled simply ‘Laurie Mains’ which concentrated mainly on his coaching, especially his tenure with the All Blacks, and he received the Services to Otago Sport Award; and in 1998 he was honoured by the Queen and made a Member of the NZ Order of Merit (MNZM) for services to rugby. While at King’s, Lindsay was an athlete, in the 1949 Tennis team, and a member of the 1st Soccer XI for three years. He was awarded a Diploma in Physical Education in 1953 and, after spending a year at Auckland Teachers’ College, he returned to Otago and became a Research Assistant to Professor Smithells, and a Junior Lecturer in 1955, when the incumbent was overseas on study leave. Lindsay won a Fulbright Scholarship in 1956 and studied at the University of Iowa, gaining an M.A. and a Ph.D (1959) before returning to New Zealand to lecture in physical education for three years, followed by his appointment in 1962 as an Assistant Professor in the Department of Physical Education at San Diego State University in California. There Lindsay taught applied anatomy and kinesiology, biomechanics, growth and development, and kinanthropometry. In 1964 he established an Anthropometry Laboratory, and in 1967 an Electromyography Laboratory. In 1983 he received the Outstanding Faculty Award, and in the following year the Exceptional Merit Award. He was the key investigator in anthropometric studies of Olympic and World Championship athletes at Mexico (1968), Montreal (1976), Perth (1991), Uruguay (1995), and Zimbabwe (1995) and has served as a consultant and co-investigator in 18 countries. He has published some 125 articles and chapters, as well as being author or editor of nine books. Many honours have been bestowed on Lindsay. In 2003 the Auckland University of Technology opened the J.E. Lindsay Carter Kinanthropometry Laboratory as a teaching, research, and community facility and ten years later the J.E. Lindsay Carter Kinanthropometry Clinic and Archive, which provides teaching, research and community services to children, adolescents and athletes at different levels of sport. The Semmelweis University in Hungary (1998) and the Vrije University in Belgium (2005) have each bestowed honorary doctorates on him. He is a Life Member of Physical Education New Zealand, and in 2006 he was elected to the inaugural Wall of Fame at Otago University’s School of Physical Education. He is Honorary Life Member and Past President of the International Society for the Advancement of Kinanthropometry (ISAK), and Fellow of the American Academy of Physical Education. Lindsay retired in 1992 and is currently Professor Emeritus at San Diego State University where he continues his research as well as consulting, organising workshops, and accepting invited presentations. Glen is of Maori descent, and Te Arawa is his iwi affiliation. During the school’s first fifty years, he was only the third pupil to be selected as Head Boy for two consecutive years. Glen is one of the most versatile sportsmen to represent King’s. He was awarded Blues in Basketball, Cricket, Soccer and Volleyball – indeed at the 1982 winter interschool against Southland Boys’ High School, he played in the Basketball, Volleyball and Soccer matches! He captained the school’s 1st Cricket XI for two years, represented Otago at Basketball while still a schoolboy; and was a member of the school’s 1st Soccer XI. Not surprisingly Glen won the Salter Trophy in 1982 as top sportsman of the year. In 1983 he left school to attend the Dunedin College of Education, and gained his Diploma of Teaching. Glen first represented New Zealand at Basketball in 1984, and played in more than 200 matches for his country. He remains the longest serving Captain (13 years) of any New Zealand international sports team. He was named most outstanding New Zealand forward three times, and at the 1986 FIBA World Championships (where New Zealand was placed 13th) he scored an average of seven points per game. During an illustrious NBL career, he scored more than 4000 points and secured an impressive 2000 rebounds. At the same time Glen was enjoying success in both television and radio, appearing with Lana Coc-Kroft in the entertainment series Across the Ditch, and in such other shows as Sports Café, A Question of Sport, Clash of the Codes, Deaker, Give Us a Chance, and A Game of Two Halves. He was a basketball commentator for both NBL and international matches, and for Radio Sport, while also hosting the radio show The Bigger Breakfast. 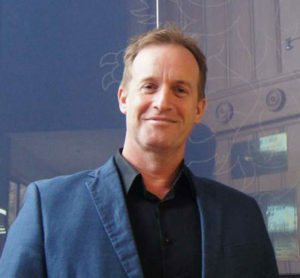 In 2000, Glen and his family moved to England, where he was appointed Deputy Head Teacher at Moulsham Junior School at Chelmsford in Essex, and then to Woolwich Polytechnic in southeast London. In 2009 he was appointed Principal of the new 1600 pupil Oasis Academy Shirley Park in Croydon, a tough environment with high levels of deprivation and need, gang issues, and teenage pregnancy all prevalent. The student population was predominantly Afro-Caribbean, speaking more than thirty languages, with only seventeen percent white British. However Glen believed that it shouldn’t matter where the pupils came from, nor the status of their parents, but the quality of the education they received; it was about social justice and transformation. Because of his leadership and his dedicated staff, the school’s GCSE results improved by a staggering 38 percentage points, and it reached the top one percent of the most improved schools in the United Kingdom. 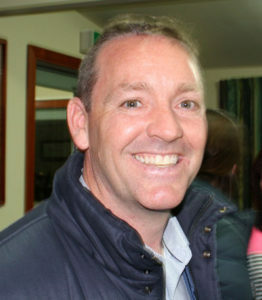 This year Glen has returned to New Zealand to become Principal of Massey High School in northwest Auckland. David comes from a family prominent in Dunedin educational circles. His father was Professor of History at Otago University, and for 14 years Chairman of the Otago High Schools Board, which controlled King’s. His aunt taught at Otago Girls’ High School for 35 years ultimately as First Assistant, and his grandfather was Rector of Otago Boys’ High School from 1907-33 and subsequently Chancellor of Otago University. In his final year at King’s David was a member of the 1st Hockey XI. He then attended Otago University graduating with a BA in History and English in 1963. He received his Licentiate of Theology (L. Th.) after studying at St John’s Anglican College in Auckland from 1964-66 and became curate of St John’s Roslyn. Three months Clinical Pastoral Education at Porirua Hospital led in 1971 to a post as Acting Presbyterian Chaplain at Dunedin Hospital and then as Anglican Chaplain at Christchurch Hospital. He was later at Burwood Hospital Christchurch, and was Co-ordinating Ecumenical Chaplain. David was President of the NZ Hospital Chaplains’ Association and a member of the Department of Health’s Inter-Church Council on Hospital Chaplaincy. From 1977 he undertook postgraduate study into the health/welfare and theology interfaces at the University of Birmingham, gaining a Diploma in Pastoral Studies (DPS). This included part time training as a Probation Officer there. In 1982 David was appointed as City Missioner at the Christchurch City Mission. The City Mission is an Anglican centre city social service organisation ministering to the downtrodden, the homeless and the drug and alcohol addicted. He held the position for 22 years retiring in 2004. The budget rose to well over $1M and staff to about 65, as the work expanded in response to changing social and economic conditions. The position was a high profile one involving a great deal of media contact. In 1990 he was appointed to the Cathedral Chapter as a Clerical Canon and remains an Honorary Canon. He was a member of the Diocesan Standing Committee. In 2001 David stood for election to the Canterbury District Health Board and has at times been the highest polling member, chairing the Board’s Hospital Advisory Committee for many years. He chairs the trust for The Nurses’ Memorial Chapel. David is also controversially, a trustee of the Great Christchurch Buildings Trust, which seeks to restore heritage buildings in Christchurch, damaged by the earthquakes, in particular Christchurch Cathedral. Since 2007, he has been British Honorary Consul at Christchurch covering the South Island, and was involved in the quakes and the Pike River mine disaster. As a Churchill Fellow in 1994, he visited Washington, New York, London and Manchester having discussions with senior governmental officials, politicians and organisations on the process of advocacy for the disadvantaged, and also participating in a three week strategic leadership course at Ashridge Management College funded by the Bonar Law Trust. In 1988 a St John’s College Fellowship had taken him to Virginia Seminary to participate in a six week Mid-Career Assessment Programme. David’s work has not gone unnoticed: he was awarded a 1990 Commemoration Medal for Community Services, in 1994 Lions’ International made him a Melvin Jones Fellow; and in 2004 he was made a Fellow of the NZ Institute of Management. In 2002 the Queen honoured him with the Companion of the Queen’s Service Order (QSO) for Community Service. Apart from being the school’s ‘Fives’ champion in his final year at King’s, Wayne was a notable cricketer excelling as a batsman and famous for scoring a whirlwind 128 runs in 80 minutes in the annual match against SOHS in 1962. Outside of sport Wayne generally maintained a low profile and left school after four years. Wayne became a lawn-mowing contractor in Lower Hutt and progressed to being a general contractor specialising in the manufacture and construction of cribwalls throughout the lower North Island. In 1975 he and his wife Chloe established their first kiwifruit orchard in the Bay of Plenty and Wayne became a main syndicator of kiwifruit orchards. Meanwhile in 1978 they had started a company in Escondido, Southern California, making and building cribwalls and eventually they sold up their business interests in New Zealand and shifted the family to Austin, Texas where they expanded their cribwall company across America and into Mexico, employing 1000. In 1990 they started a Voice Over Internet Protocol (VOIP) telecommunications venture in Alabama. However, towards the end of the century, Wayne and Chloe sold up all of their US interests and moved back to the home they had built and retained in Omokoroa, where they discovered Early Childhood Education (ECE). This has become their consuming passion ever since. They established Kidicorp which they built up to become New Zealand’s biggest childcare group. Through judicious growth and strategic organisation, Kidicorp morphed into BestStart which today operates out of 270 centres, is licensed for 16,200 children and employs more than 4,370 staff, while maintaining Wayne and Chloe’s vision of excellence and sector consolidation. In January 2015, ownership of BestStart was transferred from the family trust to the Wright Family Foundation. Last year the Foundation distributed nearly $1M and aims to distribute increasing amounts each year, depending on the availability of such funds. He is also a Trustee of the King’s High Charitable Trust. In his final year at King’s, J.H. 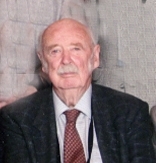 (John) Heslop, who died in 2014 was a prefect, the senior athletics champion, had spent four years in the 1st Cricket XI and was a member of the Rugby 1st XV. He moved to Otago University and graduated MBChB in 1949, becoming a house surgeon at Dunedin Hospital, and then Resident Surgical Officer (RSO). He moved to England and became RSO at the King Edward Memorial Hospital in Ealing, where he qualified as a Fellow of the Royal College of Surgeons (FRCS), before shifting to the Middlesex Hospital in London as the Leverhulme Research Fellow. His family then returned to Dunedin where he was senior registrar and surgical tutor at Dunedin Hospital while qualifying as a Fellow of the Royal Australasian College of Surgeons (FRACS). Graduating with a Ch.M. from Otago University in 1959, he was awarded the coveted Moynihan Prize for research in surgery, being the first NZ surgeon to achieve this honour. By 1960 John was surgeon in charge of the burns unit at Wakari Hospital, a position he held for 20 years and two years later he became senior lecturer in surgery at the Otago University Medical School. In 1978 he was promoted to Associate Professor and Dean of Post Graduate Studies. In 1994 he retired ending 36 years as a public surgeon at Dunedin Hospital and 35 years as a private surgeon at Mercy Hospital. 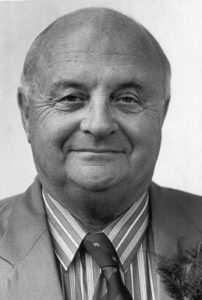 He had pioneered stomach stapling, had been national president and life member of the Cancer Society of NZ and had co-founded Sports Medicine NZ in Dunedin in an effort to get uniformity of treatment throughout NZ – he was duly awarded life membership. Graham grew up in Caversham and while at King’s played in the brass section of the school ensemble and captained the 2nd XI Soccer Team. He completed a B.A and then an M.A with honours in History at the University of Otago before proceeding to study Theology at Knox College. He completed his Bachelor of Divinity in record time, and with such distinction that the doors to study overseas opened. He then attended Westminster College in Cambridge where he was the Lewis and Gibson Scholar and a member of Fitzwilliam College. It was here that he was mentored by the renowned Professor Moule to study towards his PhD which he gained in 1969. In 1970 he obtained his first permanent lectureship at King’s College, London. In 1974 during his first sabbatical he won the prestigious Alexander von Humbold Stiftung Research Fellowship and studied the German New Testament at the University of Tübingen in Germany. Remarkably after a mere seven years, Graham was appointed Professor of New Testament Studies at King’s College, a position he held for 21 years. During this time he retained the affection and esteem of his colleagues and was an important figure in the life of the college and always ready to combine his own research and writing with teaching across every level. In 1985 he spent a term at the University of Otago and presented the Thomas Burns Memorial Lectures. In 1998 Graham was appointed to the pre-eminent chair in his field becoming Lady Margaret’s Professor of Divinity at Cambridge. A prolific scholar and specialist on the Gospel of Matthew, Graham wrote the popular textbook The Gospels and Jesus, A Gospel for a New People: Studies in Matthew, and Jesus and Gospel, which were translated into other languages. He also wrote, co-authored and edited many books, monographs, and journals. He was General Editor of the International Critical Commentaries, which for more than 100 years were the leading set of commentaries in English, on the Bible. 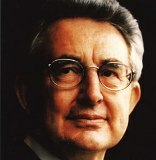 In 1989 he served as Chairman of the British Society of New Testament Studies and in 1996 became President of the International Society in that field. Graham was a highly respected and much valued Professor at Cambridge, where he was a Fellow of Fitzwilliam College and Chairman of the Faculty Board of Divinity from 2001-2003. His stature was such that he was regularly invited to lecture in Europe, North America and Australia. 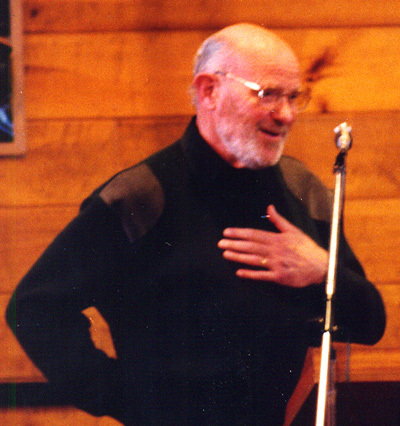 Graham was awarded an Honorary Doctor of Divinity from the University of Otago in 2000. 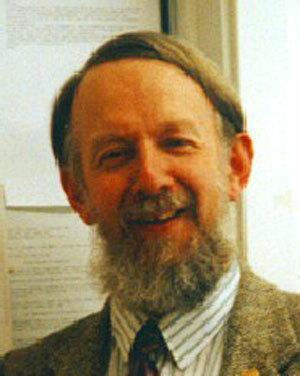 In 2006 for his contribution to biblical studies in the UK he was awarded the Burkitt Medal by the British Academy. When Chris Fennessy enrolled at King’s, he probably had no clear idea as to what his future might be; five years on this was no longer the case. As Head Boy he had followed a somewhat traditional path to school leadership. He was captain of both the Cricket and Hockey 1st XI’s, captain of the Indoor Hockey team and represented Otago in both sports at age group level. He had also taken full advantage of opportunities at school, and career-wise he was heading along a less conventional path; that of Music and Drama. As a 14 year old, and with no previous training, he sung solo at the school’s junior drama evening; from here his talent was recognised and he became the leader of the school choir, and in 1986, a member of the National Secondary Schools’ Choir. For three years he played the lead role in the combined King’s/Queen’s musical productions, and in 1988 he competed in the under-23 section of the Dunedin Opera Company’s aria competition against six others. His performance was such that he was awarded the prestigious Lily Latisheva Scholarship for the most promising singer over the whole competition. Chris headed to Brisbane in 1991 to study at the Queensland Conservatory of Music, determined to make a career in musical theatre. In 1994, at the age of 23, Chris performed throughout New Zealand playing the demanding role of Jean Valjean in Les Miserables; such were the positive reviews that he was asked to join the Asian and South African International company of Les Miserables, and toured both in Africa, and in Southern and Eastern Asia. He also understudied Rob Guest in the role of Valjean, touring throughout Australia and New Zealand in 1998-99. He then ventured to London to pursue his goal of performing on the West End stage, and did so, performing in various musical events (Tosca, Carmen, Evita, Billy Budd, Albert Herring, The Bear). This led to a two-year contract acting in Les Miserables at the Palace Theatre. All told, Chris has performed more than 3000 times in Les Miserables, playing the lead role more than 500 times. Despite winning the coveted ‘Best Performance in an Opera’ for two consecutive years, Chris was now a family man, and the late nights curtailed his spending quality time with his wife and family, so he returned to Brisbane. In Brisbane he established Epiphany Productions, which produces corporate entertainment, concerts, fully-staged musicals, cruise ship entertainment, and musically based programmes for the Brisbane City Council. Not only is this a vehicle for his own talents, it also helps those that he has mentored over the years. In January 2009 Epiphany Productions held a summer theatre school for those aged 12-18 in Dunedin. Darren Smith has played serious Hockey since his primary school days when he represented Otago at the National Hatch Cup Tournament. On his arrival at King’s his potential was quickly recognised by outstanding coach Dave Ross, and he was immediately selected to play with the 1st XI, which he did for five years, ultimately captaining the team. In his final year at school not only was he selected for the Otago Senior team, but also for New Zealand at both Under 18 and Under 21 level. Because he was also playing for Albany (who won the premier club championship that year) and combined with his other playing commitments, Darren had little time left to play for the school, but he was available for the interschools, and at the National Secondary School’s Founders Cup Tournament, where King’s achieved 3rd equal and Darren gained the ‘Most Valuable Player’ Award. Deservedly Darren won the prestigious Salter Trophy in 1991, awarded to the King’s Sportsman of the Year. Darren left Dunedin in 1993 to further his Hockey career in Christchurch. Having already represented Otago he then went on to represent Canterbury for the next three years while gaining a Diploma in Business Management Studies from the University. In 1995 he made his debut for the Black Sticks at a tournament in Kuala Lumpur, although like many young sportsmen it took him a while to cement his position. By 1997 he was a regular member of the team. He thrived in the environment, being awarded ‘Player of the Year’ in 1998, serving as Vice-Captain on occasion and Captain in 2003 and 2005. In 1998, at Utrecht in the Netherlands and in 2002 at Kuala Lumpur, Darren was a member of the Black Sticks Team which contested the World Cup. He represented New Zealand at the Commonwealth Games in 1998, 2002 and 2006, winning a Silver Medal in 2002 at Manchester (making him the first sportsman from King’s to do so). In 2004 at Athens he became the second sportsman from King’s to represent his country at an Olympiad. Darren retired as a player at the completion of the 2006 Commonwealth Games, having represented his country at 212 international matches. Far from resting on his laurels as a player, Darren had already started using his vast experience to develop the next generation of players, honing his coaching skills in the Waikato where he became the High Performance Coach of the Midland franchise, and was responsible for setting up the Sir Edmund Hillary Scholarship Programme which has given many current Black Sticks their head start. In 2007 he was appointed Assistant Coach of the Black Sticks, a position he held for the next five years. Darren then went to Ireland to become Head Coach of the Irish Women’s Hockey Team, a position he held for three years, before returning to New Zealand in 2016 to become High Performance Manager for Softball NZ. His dream however, had always been to be Head Coach of the Black Sticks, and when the opportunity arose, his commitment and diligence was duly rewarded. Warren started small as a ball boy at Carisbrook, which was at that time the home of Otago Rugby and Cricket. It was inevitable that he would be attracted to both sports when he arrived at King’s, having already represented Otago and the South Island in Cricket at Primary School level. He represented King’s in each code at 1st team level for three years: in Rugby at both half back and fullback, and like his elder brother Keith, was the Cricket Captain in his final two years. Against Shirley Boys’ he shared in a 291 run partnership, scoring 136 himself and in 1969 he led the 1st XI to win the Dunedin 2nd grade club competition, scoring 147 against Otago Boys’. While at school he was a member of the Otago Brabin Cup Team (under 20), and was later selected for the full NZ Team, for whom he played for five years. A Prefect in his final year, he then proceeded to Dunedin Teachers’ College where he trained as a Primary School Teacher, during which time he was selected for the NZ Under 23 Team and for the Otago Plunket Shield Team. He also represented the Otago 2nd Grade Rugby Team at fullback. He then secured a teaching position at Balmacewen Intermediate School. Statistics can be difficult to follow but Warren’s tell the story of an incredibly successful cricket career. He played 146 first class matches, taking 304 catches and effecting 44 stumpings, while scoring 4,932 runs at an average of 24.66, including 5 centuries and 18 half centuries. He captained Otago for 9 years, during which time they won the Shell Trophy three times and the Shell Cup once. As Warren neared retirement he was the first Otago player to be awarded the English Tradition of a Benefit Year. In the 1989 Queen’s Birthday Honours list, he was made a Member of the Order of the British Empire (MBE) for Services to Cricket. 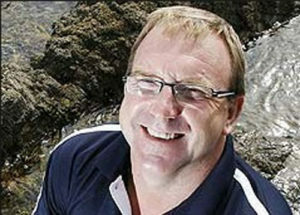 In 1989 he turned his attention to coaching Otago which led in 1990 to his being appointed coach of the national team. In 1992 he coached the Martin Crowe led team to reach the semi-final of the World Cup Tournament, losing to the eventual champions Pakistan. However, later that year bomb blasts in Sri Lanka threatened the safety of the team and he found himself no longer required as coach. He then worked full time for the Otago Cricket Association before managing the Otago Boys’ hostel for four years, the Cumberland Hall of Residence at Otago University for four years and the Hall of Residence at Canterbury University for three years. In 2013 Warren began coaching Women’s Cricket, the Otago Sparks, winning two titles in five years. This led in 2015 to him coaching the White Ferns. When he had retired as a player he thought that representing NZ was the ultimate, but he has found that coaching NZ men’s and women’s teams had actually been a bigger highlight. Warren is a man of principle who has probably contributed more to Otago Cricket than anybody else as a player, coach and administrator. For his endeavours he has been made a Life Member of the OCA and been honoured by a special dinner, only the fourth Otago great to be so rewarded. He has proved to be an excellent mentor to young people both within the world of Cricket and beyond. 1963 – 1967Christopher has been very much his own person for virtually all of his life, and maintained a low profile while progressing steadily through King’s. However, as an avid collector of stamps he helped to resuscitate the defunct Stamp Club, and even became Club President in his final year. 14 year old Christopher chanced upon an exhibition of A.H. Reed’s small collection of medieval manuscripts at the Dunedin Public Library and was “hooked’ by these illuminated manuscripts. During his school holidays, he hitchhiked around NZ to see the 77 recorded manuscripts. In 1969, while still a young History under graduate at the University of Otago, the Public Library published his first book, entitled Books of Hours. In 1972, Christopher graduated with a BA (Hons) in History choosing to study the Treaty of Waitangi for his dissertation topic, possibly because it was one of NZ’s oldest documents. Progressing to Oxford University, he achieved fame and a reputation to the extent that Sotheby’s, the famous London auctioneering firm, offered him employment in 1975 as the expert in illuminated manuscripts, three years before he completed his D Phil Degree on 12th Century Bible Commentaries. Before long he headed a high-profile department with an annual turnover frequently in excess of £10 million. By the end of the 1980‘s he was the world’s pre-eminent merchant and cataloguer of medieval manuscripts, and had negotiated the sales of all eight of the most expensive manuscripts sold at auction, including the Gospels of Henry the Lion for nearly £12 million, and in the following year he arranged the private sale of the Furstenberg manuscripts for 48 million deutschmarks. Because of his scholarly passion and despite being fully employed, he found time to publish major monographs, guides, and reviews, in 2001 publishing The Book: A History of the Bible, which tells the Bible story as an artefact and not as a theological treatise. In 2002 he was appointed Donnelly Fellow Librarian at Corpus Christi College, Cambridge University, being the first full-time curator since the Library was established in 1352. In 2005 he completed a Ph.D. at Cambridge, and in 2010 was the recipient of a Festschrift (a collection of writings published in honour of a scholar) which was contributed to by some 50 authors. In 2016 he published Meetings with Remarkable Manuscript’s. The book has been favourably reviewed, winning the Duff Cooper Prize for the best non-fiction book of 2016, and in 2017 the Wolfson History Prize, valued at £40,000. Christopher retired at the end of 2016, although he remains a consultant (Senior Vice President) for Les Enluminures, of Chicago, New York, Paris and London. In 2002 the University of Otago awarded him with an Honorary Doctorate of Literature, with the History Department believing that he is their most illustrious product of his generation. Hone is of Maori descent and his iwi affiliations are Ngati Porou, Ngati Raukawa and Ngati Kahungunu. Arriving at King’s in his fourth form year, he impressed immediately because of his friendly manner and his multitude of talents. He participated in everything available, representing the school in Basketball and as an aggressive loose forward in Rugby: sadly a promising career in Rugby ended when he was literally ground into the mud at Littlebourne. In his final year at King’s he was awarded his Rugby Blue, acted in the major production Salad Days (for which he received a Drama Blue), was a Prefect and chaired the School Council. Hone had also developed a love of literature, having been mentored by his inspirational teacher of English, Mr Paul Aubin and progressed to Otago University, where he graduated with a BA Degree in English in 1988 and followed this two years later by gaining a Diploma in Drama from Te Kura Toi Whakaari o Aotearoa/NZ Drama School. By then Hone had realised that a Maori voice was missing on the stage of NZ Theatre and became determined to rectify this omission. He had attended playwright workshops in Wellington (1988), Nelson (1990) and Canberra (1992). His first play Mauri Tu was performed at Otago University in April 1991 for which he was rewarded with the Wellington Theatre Award for being the most promising newcomer in 1991. In 1992 he lectured and performed at University Drama classes in Sydney and Melbourne and was the youngest ever to win the 1992 Bruce Mason Playwrights’ Award and the 1992 Chapman Tripp Theatre Award for the most original production, for his play Hide ‘n’ Seek. He was awarded the Atairangikahu Award for Drama in 1993 and the Chapman Tripp Theatre Award in 1994 for the best NZ play for Te Tangata Toa an Ibsen inspired work which was heralded as a masterpiece in NZ Theatre. In 1996, Hone was Writer-in-Residence at Canterbury University, when he was commissioned to write Waiora Te U Kaipo (The Homeland) for the 1996 NZ International Festival of the Arts: the play which is reminiscent of a Greek chorus subsequently toured nationally and internationally. In 2006, The Prophet completed a trilogy of plays – which included Home Fires and Waiora – which has been described as “moving, funny and definitely unforgettable.” In 2011, to celebrate the holding of the Rugby World Cup in NZ, and to show that “you could rise to greatness from humble beginnings”, Hone wrote I: George Nepia, the story of his great uncle whom many of the older generation still regard as NZ’s greatest All Black. As well as writing plays, Hone writes prose, poetry, short stories (especially for children), novels, non-fiction, articles, reviews, films, TV productions and (with others) Waiata. Much of his work revolves around family, conflict, identity, truth, prejudice and how these themes can lead to alienation and even isolation. He has worked as a Development Executive with the NZ Film Commission, where he mentored Maori and non-Maori film makers and for Radio NZ’s Drama Department. In 2009 he was created a Member of the NZ Order of Merit (MNZM) for Services to Contemporary Maori Theatre. Last year, Hone came to Dunedin to work with some of our Year 12 Drama students on an excerpt of Waiora and today, they had the privilege of working with him again – hence the photo at the end of this article. Hone has made a huge and lasting impact on these students and we are grateful for his input into their learning.